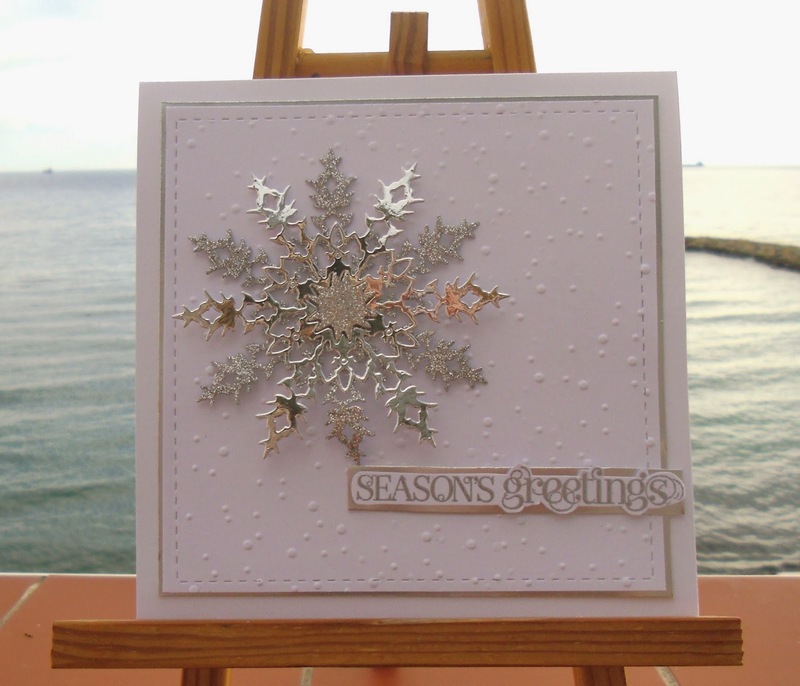 This is gorgeous Sylvie, your silver snowflake looks stunning and I love the embossed background. Very beautiful card Sylvie, love the stunning design. What a beautiful snowflake! I forget about that mirro paper. Thanks for inspiring me! Great card Sylvie - fab for batch card making. I've got those Lil'inker dies on my wishlist - shame you can only buy from them direct as their shipping is pretty steep eh? Oh My - just how FAB(u-lous) is this! 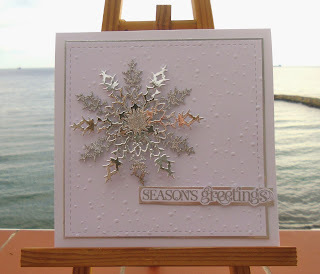 A beautiful card, love that fabulous snowflake!